Our new multi-room chats feature allows organizations to improve support quality and overall service experience by providing quick, clear and accurate information to users. This new chat can be added to existing or included within new environments. The multi-room chat allows service personnel to easily group and organize the chats based on user location, issue or any other aspect. Efecte’s multi-room chat is now available, with deliveries beginning later this quarter. Multi-room chats allow service personnel to better serve customers by allowing chats to be easily organized. Our new multi-room chat will pre-grouping the users based on location. After the service personnel has started the chat, it can easily be moved to a different room depending on the issue type, complexity or the department involved. This ability to easily organize and escalate chats ensures that users will quickly be connected with the best service personnel to solve their problem. 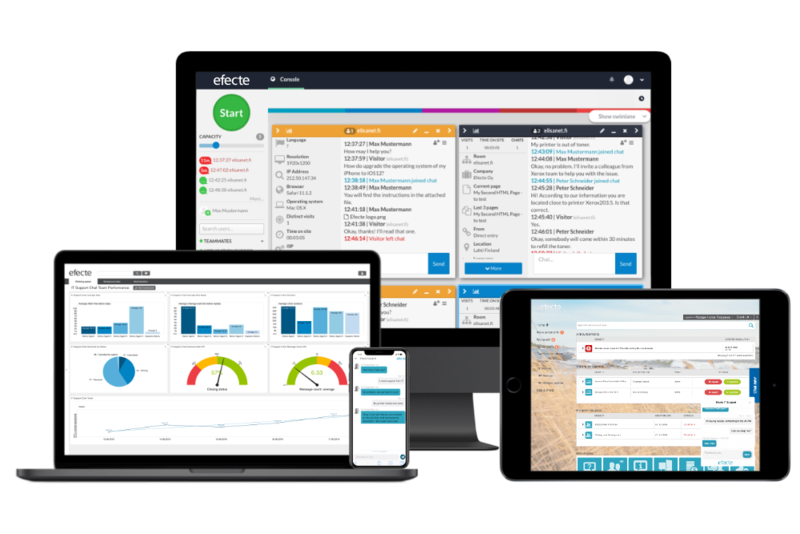 The new multi-room chat tool can be integrated with the service management tool to combine the service levels, response times and other key metrics with current feedback and metrics. By combining these two powerful tools any organization will be able to fully review their service levels and make improvements based on complete and combined data. 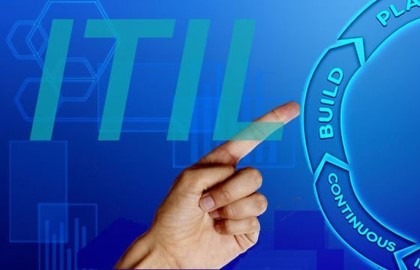 The integration with the service management tool extends past simple transfers of data to allow the service personnel to easily and near instantaneously search within the service management tool for any items, incidents, cases and more linked with the user. This integration will help any service personnel to find and react to any questions or issues users have. If the issue or case is not able to be solved within the chat, the service personnel can instantly create a new incident. To see how the new multi-room chat works you can see a short video from our Efecte Highlights page here. If you want to read more about all of the features and functions of our newest tool you can see the factsheet here. 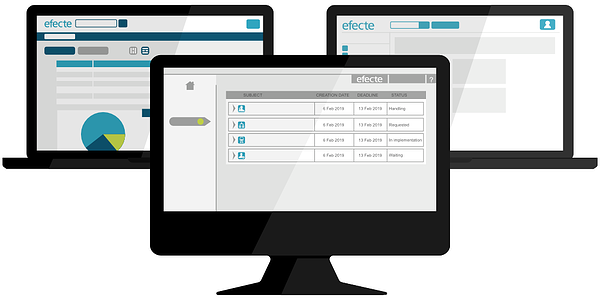 If you would like to hear more about how Multi-Room Chat on Efecte's solution, request a demo - we would be happy to show you how it works!